Apprehension about the unknown can keep us from understanding the mystery of God. But fear is not from God. 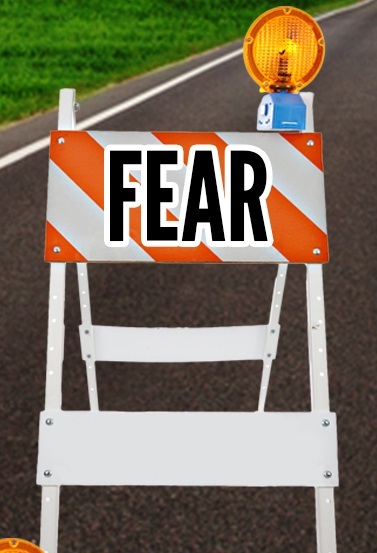 Second Timothy 1:7 says, “For God did not give us a spirit of timidity, but a spirit of power, of love and of self-discipline.” I had a fear of God, but not the right kind of fear. Before I got to know God better, apprehension shrouded my desire to speak in conversation with Him. I feared that everything that came out of God’s mouth would convict me. I dreaded His wrath, because I did not know the truth about His character. God is loving, kind, compassionate, forgiving, faithful, trustworthy, and so much more. He loves us so much He wants to have an intimate relationship with each of us. I had to get to know God more intimately before the only fear I felt toward Him equaled awe and reverence. Psalm 147:11 says, “The Lord delights in those who fear Him, who put their hope in His unfailing love.” God delights when we fear Him with a reverence that acknowledges we can put our trust in Him and depend on Him for everything. Now that I know God better because of spending time in His Word and listening to His voice, I no longer fear Him with anxiety and apprehension. I can’t wait to speak with Him because He amazes me. I now fear God out of reverence and respect because He has made His loving character known to me through His Word and His voice. I can depend on Him to meet all my needs. “The fear of the Lord is the beginning of wisdom” (Psalm 111:10). Read Acts 9. It’s the story of Saul, later renamed Paul. After the death and resurrection of Christ, Saul threatened to kill Jesus’ disciples and take His followers as prisoners to Jerusalem. As he neared Damascus, however, he saw a light from heaven flash around him. “He fell to the ground and heard a voice say to him, ‘Saul, Saul, why do you persecute Me?’” (Acts 9:4) It was the voice of Jesus. Saul could have fallen from the fear and dread of what was about to happen, or from the awe and reverence of being in the presence of the Lord. As he met the Lord face to face, Saul may have feared his own identity as one who persecuted the Jesus who stood before him. Is it possible your identity causes you anxiety in communicating with Jesus? If you have accepted Jesus as your Savior, you are a child of God. No longer are you a slave to fear. Psalm 34:4 says, “I sought the Lord, and He answered me; He delivered me from all my fears.” However, you may not feel connected to God. Maybe you’ve strayed from living a life that pleases God, and the shame you feel causes you to fear God’s wrath. Perhaps you have stopped attending church, reading the Bible, or praying regularly. As a result, you experience apprehension about how Jesus would relate to you if He spoke to you. Many times, we claim our identity from external sources in our lives. My identity branded me early in life when I heard my mom repeatedly refer to me as “an accident.” Accidents are unwanted, unexpected events that we don’t plan for and that sometimes cause pain: physical, emotional, or spiritual. I knew my mom had not planned me; therefore, I believed I was unwanted and unloved. My conception and birth had caused my mother undue emotional pain and then emotionally scarred me for much of my life. The external label “accident” spawned an internal insecurity about my identity that stuck with me for more than thirty years. 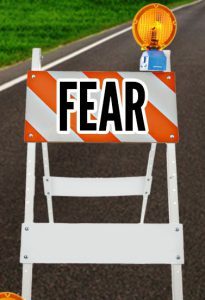 Another fear that blocked my communication with God was the fear of intimacy. I feared He wouldn’t speak to me; therefore, I didn’t want to experience the pain of rejection. I wasn’t even sure He listened to me when I talked to Him. I hesitated to get emotionally close to God and become too dependent on Him because I feared He would let me down, as others had. I knew I was a child of God, but I didn’t feel like His child. What if God also viewed me as an accident? What if He didn’t love me either? What if my sins were too big for God to forgive? God wouldn’t speak to me. I was nothing to Him. I was nobody special. Why would He talk to me? Do you ever experience conversations like this within yourself? Are you insecure about your relationship with Jesus? Are you unsure about your identity in Christ? I was. My uncertainties caused me to approach the throne of God with fear and trembling, not in confidence with awe and wonder. The first time I sat down to listen for God’s voice, I needed reassurance from God that He wasn’t angry with me. I wanted to know how He felt about me. I longed to know who He saw when He looked at me. I craved His attention, positive or negative. I prepared myself for whatever He would say to me. I wanted to know who I was to God and that He had a plan for my life. Battling depression for the second time, I desperately needed a reason to go on. A name is more than a way to identify someone. It’s a birthright; it represents our heritage, our legacy, our inheritance. It becomes our own challenge to make our names good and live up to our full potential as God’s creation. This starts when we seek God for His name for us. We can’t live into our God-given identity and purpose until we understand what that is. God’s chosen name for you may be different than the name your parents gave you. Many people throughout the Old and New Testaments received their names, name changes, or identity, directly from the mouth of God and Jesus: Abram (Abraham), Sarai (Sarah), Isaac, Jacob (Israel), John the Baptist, Jesus, Simon (Peter), and Saul (Paul), to cite a few. Considering the possibility that God had a special name for me, I was excited to learn it. It was the missing link to my identity, my sanity, and my confidence in Christ. One evening, I escaped the noise of my family and retired to my quiet bedroom. This marked the first time that I really tried to hear God speak. I wanted to capture whatever I heard from God that night, so I wrote all my thoughts in a notebook. In one very distinct moment, I heard a name whispered in my thoughts. I wrote it down, but I quickly dismissed it, not being able to relate to it at all. I asked God again, “What is your name for me?” Again, the voice in my head repeated the name. Once more, I thought I’d heard it incorrectly. I couldn’t identify with the name. I didn’t understand its meaning. I had expected to hear a name like “beloved one,” similar to the name one of my friend’s had heard. A third time, I requested God’s name for me. Yet again, God confirmed it in my thoughts, and this time the words took center stage in my head, displayed in all capital letters. Three times God clearly spoke the same name to me in my thoughts. I knew it must be the name He had given me—but I didn’t recognize the meaning behind it. One way to confirm and comprehend what God says to us is to go to Scripture. Using the concordance in my Bible, I began a two-hour search for all the verses and meanings I could find about the name God had spoken to me. Seeing the name appear in more than twenty-five verses surprised me. As I read each verse and the surrounding passages, a feeling of peace and joy came over me. Emotion overwhelmed me. When I discovered the meaning of God’s name for me, it resonated with me. This name would most likely not mean the same thing to any other person, but it embodied everything I longed to be to God and everything I desired to hear from God at that moment. That evening, God met me at the bottom of the pit of depression I occupied. He showered me with His loving kindness. He lifted me up out of the darkness and washed off the mud. I connected with Him in a way I never had before. I had a new understanding that God is alive. He’s a loving Father who cares about me and wants to have a relationship with me. I felt special, wanted, and loved by God. I felt important to God, a priority to Him. When I discovered how God felt about me, nothing else mattered. My fear dissipated and my confidence in the Lord replaced it. When I felt loved and wanted by the God of the universe, I had a new reason to live and a new excitement about what the future would hold for me. No longer did I fear spending time with God. Shortly after I received God’s name for me and began spending more time alone with Him, my church went through a 40 Days of Purpose study from the book The Purpose Driven Life by Rick Warren. From this study, God revealed and confirmed many things to me as He healed me and strengthened me. God brought to light the reason He created me and His purpose for my life here on earth. He wants me to help set His captives free, like He set me free, by awakening hearts to Him. He wants me to help lead His people to the promised land, which is the abundant life in Christ, through a personal, intimate relationship with Him. He wants me to be a light to the Gentiles, people who do not know God yet. Really, these assignments represent activities He calls all of His children to carry out. It’s what Jesus did when He walked the earth. God’s Word promises, in John 14:12, we will do even greater things than Jesus did. Can you believe it? If you have not yet heard the voice of God, I encourage you to listen. If you do not yet know God’s name for you, I pray you will ask Him. If you find yourself imprisoned by Satan’s lies about your identity, I invite you to seek God’s truth and let God Himself set you straight. God is a gentleman. He pursues us, but He doesn’t crash in on us and take us over. In Revelation 3:20, Jesus says, “Here I am! I stand at the door and knock. If anyone hears My voice and opens the door, I will come in and eat with him, and he with Me.” Jesus continually pursues us. He is pursuing you now. He stands at the door to your heart and knocks, saying, “Here I am!” He patiently waits for you to listen, hear His voice, open the door, and let Him in to enjoy intimate relationship with the living God. Open the door to Jesus. He will come in, sit with you, and eat with you. Are you hungry to hear God’s voice? Are you desperate enough to listen? He waits for your response. Will you open your door, and your ears, to what God has to say to you? He calls you by name. No need to fear God because of who you are or who you are not. You are His child, loved and redeemed by Him. Identify yourself with the name God so carefully chose for you before the world began. Your name is engraved on His palms (see Isaiah 49:16). Some lies swirling around in our heads evolve from the idea that the only things God will say to you are: He will convict you of your sin, or God will ask you to do something you don’t want to do, or He’s full of only wrath and fury toward you because of your sin. Are these falsehoods feeding your fear of intimacy with God? 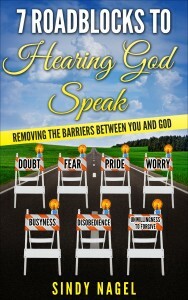 Get your copy of 7 Roadblocks to Hearing God Speak, and start identifying and eliminating any lies you may be unknowingly investing in.